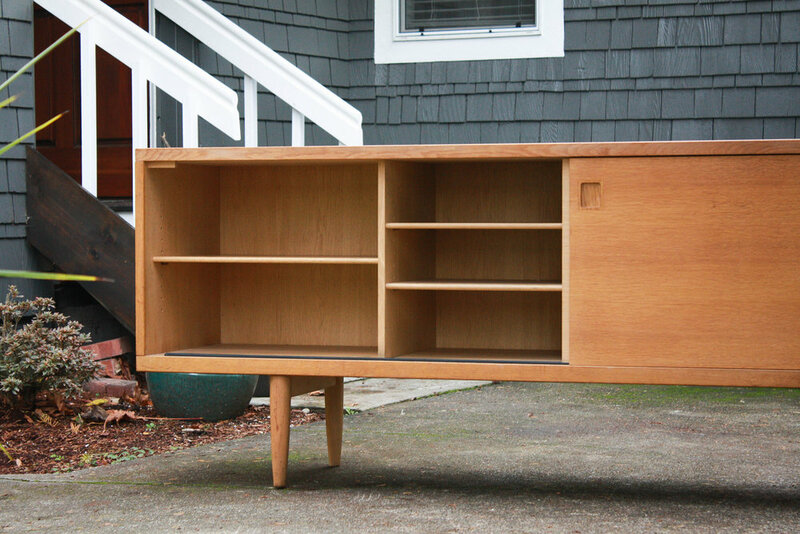 A very rare Danish Model 20 sideboard designed by Niels Moller and constructed by JL Moller. 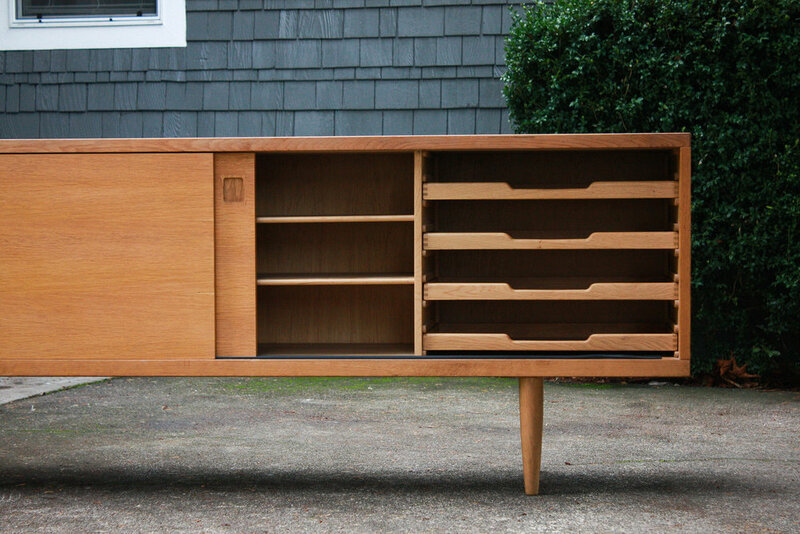 A quick Google search for this credenza will show you just how special this piece is and how much it sells for (between $5k to $7k). The quality in design and construction is out of this world. Behind the left door is a large storage space with shelving plenty of interior storage for your media, fine china & silverware, or maybe even a small car. 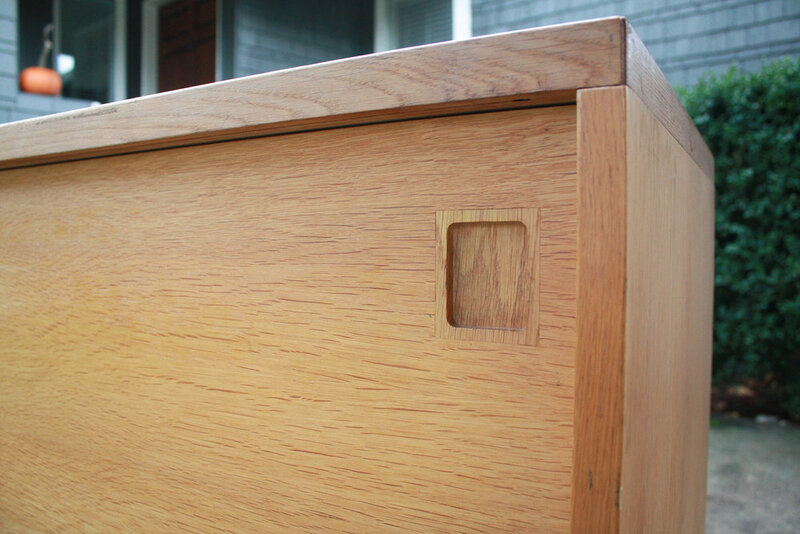 Behind the right door lays a series of dovetailed pull out drawers for additional storage. All shelving is adjustable and removable. 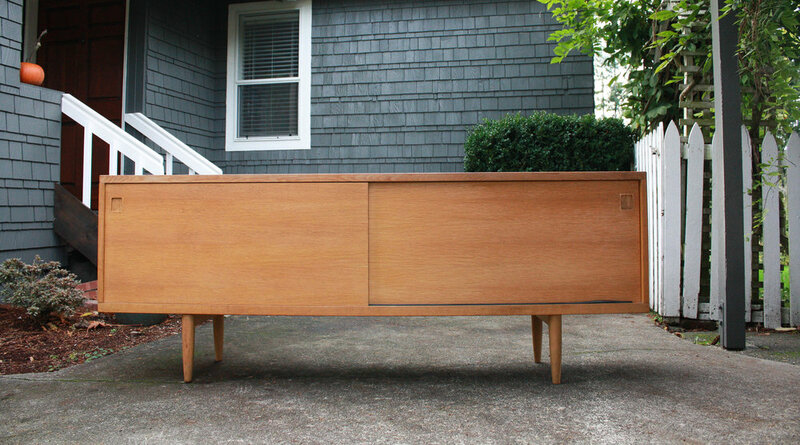 The credenza is lifted by 4 solid ”pencil” legs which gives this piece the highly coveted floating look. 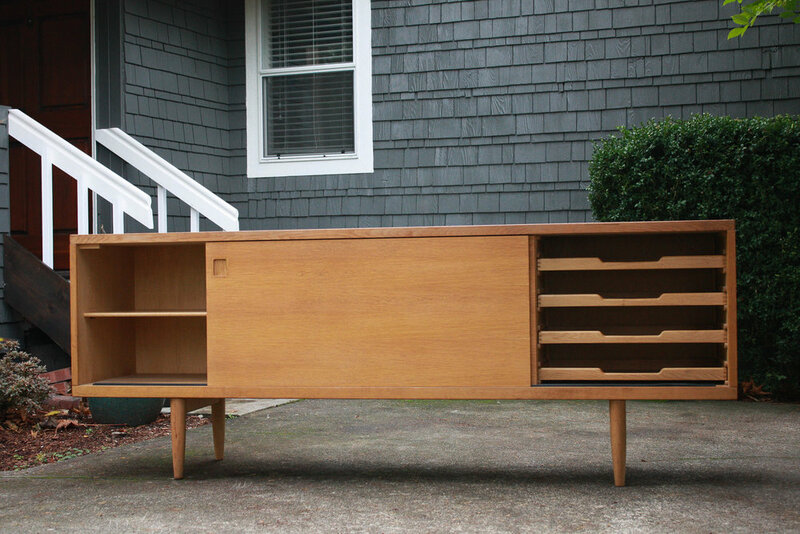 The top features a raised edge around the and a generous surface area that is somehow still in excellent condition. 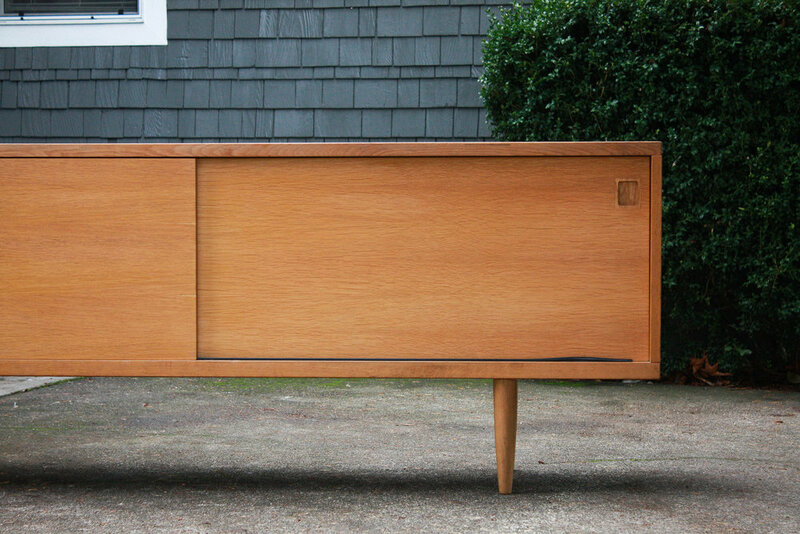 This piece is rock solid and very, very heavy. It does not feel flimsy in any way. Condition commensurate with age and use.